Why ProTech Key & Locksmith? Ted Bruntzel started locksmith training in 1989 and opened his first company, Denver Security Systems, in 1993. ProTech Key & Lock became the trade name in 2014. Denver Security & ProTech began a contract with the City and County of Denver in 2004. 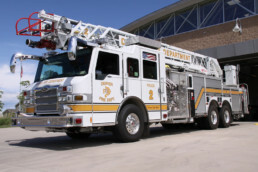 We are a trusted company with the Denver Police Department and Denver Fire Department. Ted Bruntzel believes in relationships and that a business should see every new client as a potential long term relationship no matter how large or small the scope of work. We charge a fair price and back up our products and workmanship so that no matter what happens, our clients can rest assured that our warranty will remain solid. ProTech became involved with the AAA Auto Club in 1993. Ted was attracted to this club because of their undying commitment to customer service and a great product. ProTech models the business after companies with hundreds of years of service excellence and will make no compromise to class “B” service. 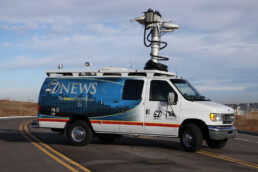 ProTech has been the advisor for Channel 7 News after opening one of their news vans when the keys got locked inside. We work together with Channel 7 news as stories arise that pertain to public safety.